Castle Rock Hostel in Edinburgh is a sociable kind of place. Their website and photographs are full of folk smiling, meeting up and having fun. 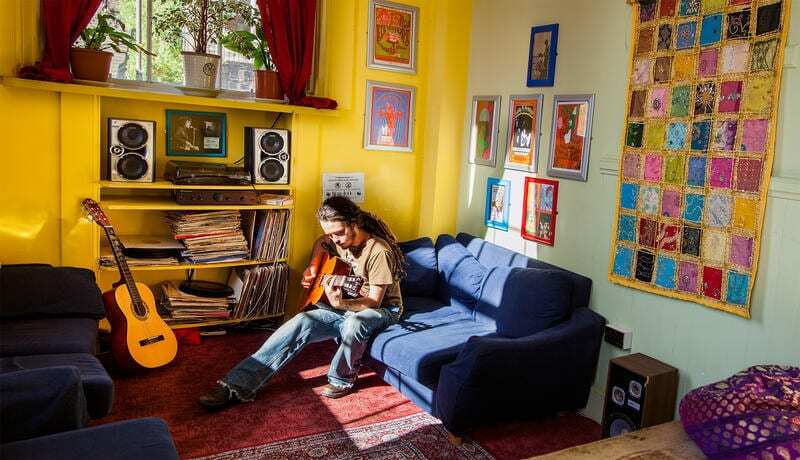 The hostel seems made for it, with room for more than 300 guests and great facilities and common areas. The location is fantastic with view to the castle from some rooms and common lounges nice if there’s one of the firework events on! Castle Rock Hostel is just steps away from the city centre with the historic Royal Mile, the busy pubs and late-late nightlife of the Grassmarket and Cowgate. The hostel hosts many activities and is a very social environment. They organise trips out such as the walk up to Arthur’s Seat but also their regular Thursday pub crawl, Monday pub quiz as well as pool competitions and ceilidhs to keep you entertained. There are also Movie marathons in the Cinema Room. To say nothing of the beer pong, whatever that turns out to be!